Music was big this year for me. I have such a diverse taste that allows me to be open to so many genres and styles; I discovered lots of talent in 2015. Some of these artists have been around for years, others months. 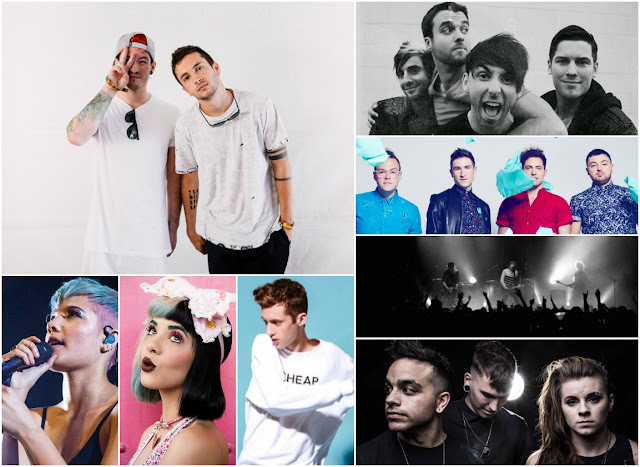 In 2015, some alternative, young artists have made their place in the industry, in the charts and on Tumblr blogs. Other artists have been busy bees touring and releasing new albums. So, behind the craze for Justin Bieber, The Weeknd and Adele, 2015 was a year of some fine tunes. Let's have a look at my top nine new finds from the year. 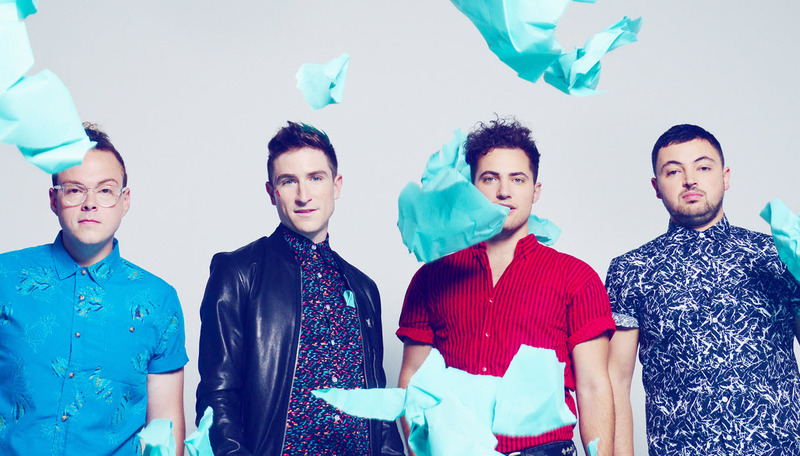 Ignoring the odd but unforgettable name, these guys are music geniuses. 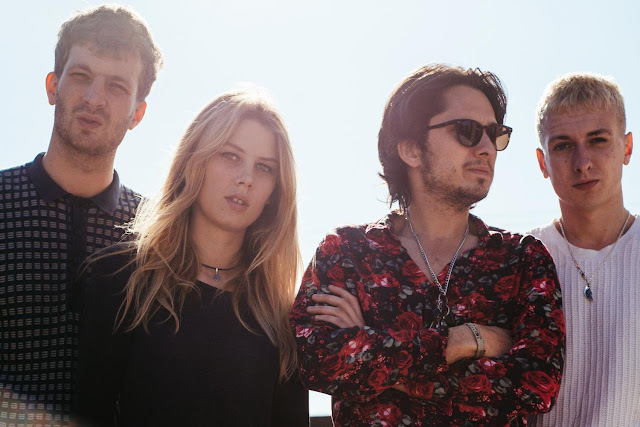 Every song from their album The Balcony, released in September 2014, is catchy and they are all bound to get me moving. Kathleen is my CATB anthem, and there's a reason why it's popular. I suggest you get to know and love this band before they get even bigger than they are already. A recent find, but a damn good one; I already have tickets to their show in The Academy next March. Their album My Love is Cool is, and I'm sorry in advance, cool, but more than cool. They have fast beats for head bopping, chill vibes for relaxing, almost everything you could want in an album - perfect for long journeys. And that's impressive for a debut. If you haven't heard about this YouTube phenomenon, you will hear about him soon (or would have if you never read this). 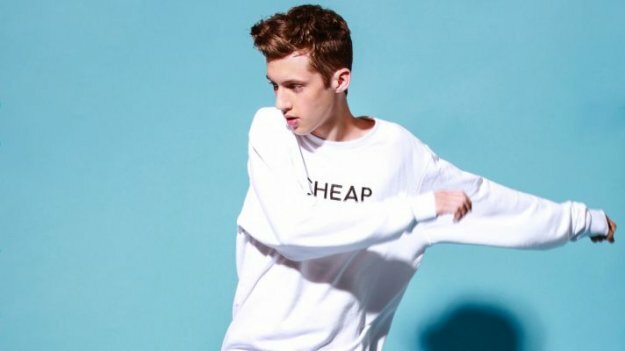 I've been subscribed to this cutie pie for a while, but I truly fell in love with his amazing sound this year with his new album; I did like his TRXYE EP in 2014, but Blue Neighbourhood has blown me away. It is his sound, his style. His voice is like melted chocolate or smooth ice cream on a warm day. He's modern, his lyrics connect with many and he's bound to have a successful career. Listen to: Wild, Youth, Bite, for him. You might know this band for Shut Up and Dance, which is a genius song, but Walk the Moon shouldn't be a one hit wonder. The group have fun songs on their albums that are just as dance-worthy as their number one. All their tunes never fail to make me smile. When I saw that they were coming to Dublin in February I jumped at the chance to go, as their music would be amazing live. Ashley Frangipane is getting big with her memorable stage name Halsey. 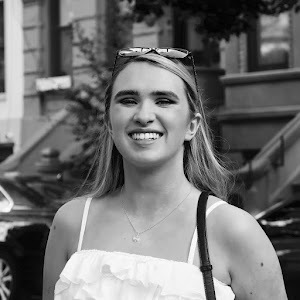 She is in tune with today's society; she's admired for her diversity and uniqueness, as she is bi-polar, bi-racial and openly bisexual. 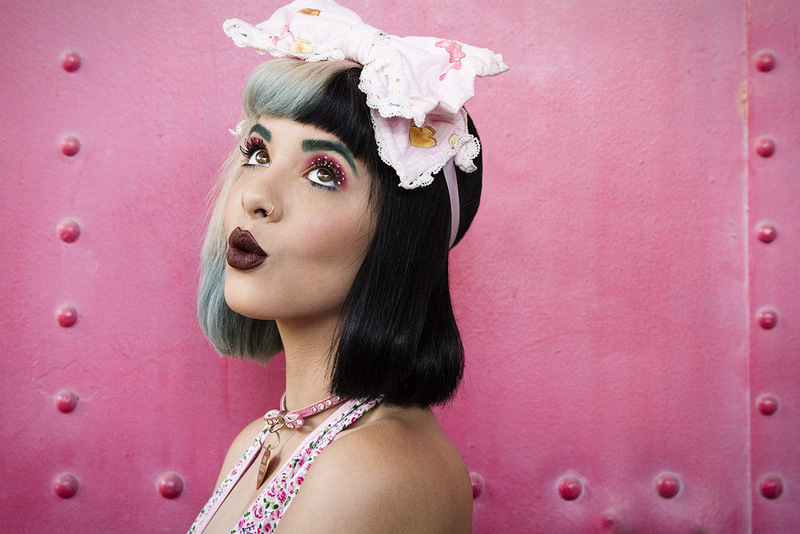 Her aesthetic is to die for, and oh yeah, she's a amazingly talented singer. I am proud to say I knew her before her debut album Badlands (a lot of debuts here eh? ); back a few months I loved Ghost and Hurricane. In July, my parents surprised me and my brother and sister with tickets to Imagine Dragons, which, luckily by chance, had Halsey as their support act. She was incredible live. 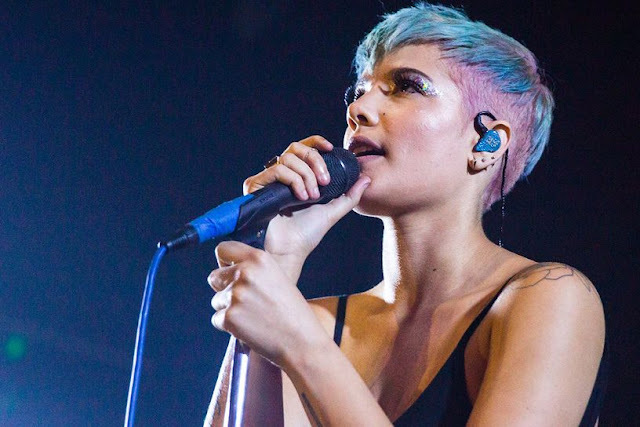 Halsey is honest through her songs and persona, and without a doubt a gem this year. 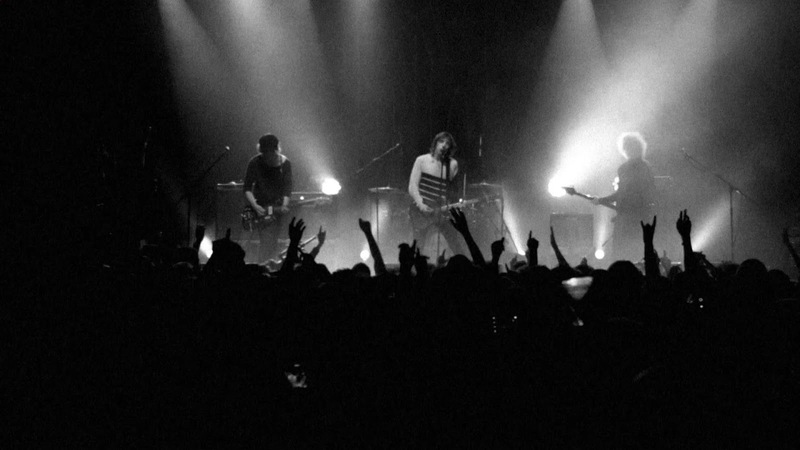 These guys aren't new at all; they've been in the music scene since 2006, and are still going. With many albums and a show in the 3 Arena in February (which I'll be happily attending), All Time Low are not only a big deal in the industry, but they even made my top 4 this year. Obviously I had heard of them before, but I began loving this band in March, when their album Future Hearts came out. 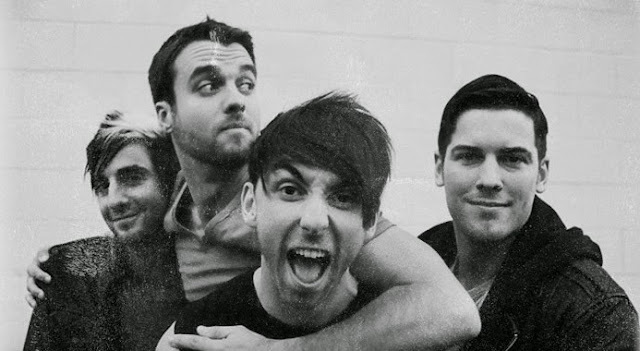 All Time Low have heartfelt songs, tunes that make you want to go wild and good sing-alongs. In August, I saw them at Belsonic, and they were awesome. They announced then and there their show in Dublin, and they were so good at Belsonic that I have to go see them again. It's, apparently, pronounced Paris. I know, this band already seems cool! Another group recently in the music scene, there's no songs like PVRIS'. Their haunting, beautiful, inspirational, and I find them fun to sing to. The trio have a consistent, brilliant, dark image, and Lynn Gunn literally has the voice of an angel. 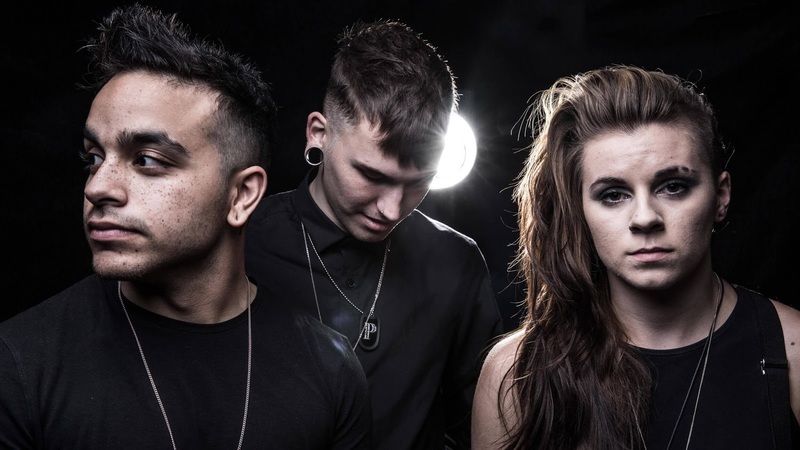 I love these musicians so much I already have a PVRIS merch top from Hot Topic, and I only began to listen to them back in March. If you need something new, fresh and life-changing, take time to listen to their debut White Noise. (P.S. I want to steal Lynn's style from the St. Patrick music video, badly). There's no one like her. If I wasn't the Queen of Quirk she would be. Emerging from The Voice USA, Melanie was bound to make a statement. Thanks to my friends Evelyn and Lauren, I listened to Dollhouse back in March (March was a good month), and was entranced by her dark lyrics and unique, beautiful voice. With her new debut album, Crybaby (one of my favourite albums EVER), she is consistent in her poignancy, and has a memorable childish, doll-like style to her songs, song titles and image. She's come a long way this year, and deserves this second place on my top nine. Melanie really knows who she is and puts that out there in her music and music videos, and I love that about her. Back in January, when listening to Holding Onto You, I had no idea how much I'd fall in love with Tyler Joseph and Josh Dun's music in just a few months. They're my favourite artists ever; they're up there with Panic! at the Disco. You have no idea how much I adore these two guys from Ohio, and 2015 was a fantastic year to start liking their music. It all started with Vessel. 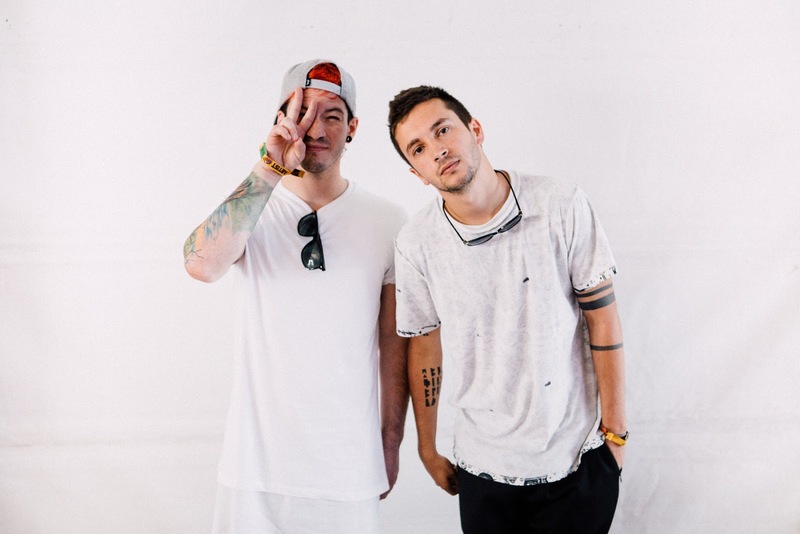 Yes, I am proud to say I knew them before Blurryface, but for a short while. Before the latest album's release, I learnt all the lyrics to Holding Onto You, Migraine and more. Their songs are so truthful and honest, and you cannot pin them down to one genre. They're not afraid of being different, and have such a strong fanbase that I got dragged into, no, more like the door was left open and I willingly walked in. Behind the deep songs, the two are hilarious; they have the best Vines and interviews. They're adorable, which made me love them even more. Then Blurryface came out, and the singles before that, and I had to take it all in so quickly. I was basically just getting into Vessel when they dropped this masterpiece. They changed their image slightly for this record, with Tyler's black paint and Josh's red eyeshadow. And I love it. Every song on Blurryface I can listen to again and again and not get sick of it. I am definitely in the Skeleton Clique now, with a merch jumper and t-shirt #proud. Listen to: Lane Boy, Holidng Onto You, Migraine, Stressed Out all of their songs! Did you discover any new artists in 2015? You should! Ooh I love Fall Out Boy! I love Catfish and the Bottlemen! Have you heard of Two Door Cinema Club they're from Northern Ireland. They're brilliant aren't they? And yes I have, they're so good, but I had no idea they were from the North!! If you find a music blog that posts videos frequently, use a newsreader or RSS feed to get alerts when they post new updates. Any list of best of 2017 music albums? This lost looks great all are the songs are most popular one. Thanks for sharing! Portable music players are all the rage, everyone either has one or wants one. With all that, technology floating around there had to be a place to get the music for them converter mp3.. This will make your sites rank high in the web search tools due to a thing called, catchphrase advancement.